Last Sunday, the College held a Community Fun Day which enabled the wider community to experience our College. 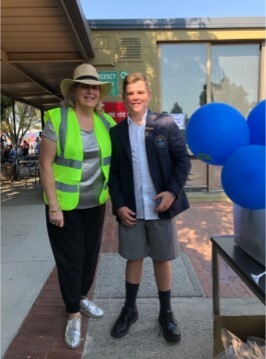 Ms Janelle Spring and Mr Domenic Fera superbly led the organisation of the event which saw many enjoy the fine weather, rides, tours, music, refreshments and so much more. Following on from a long day on Sunday, we celebrated our St Joseph’s Day on Monday 18 March. Again, we had a wonderful day with mass and then a whole series of fun, food and activities. 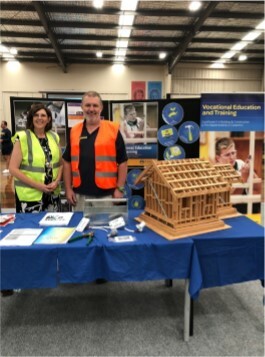 St Joseph’s College has enjoyed the collaboration with AFL SportsReady over the past few years. 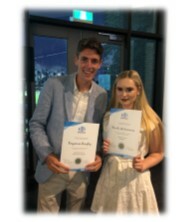 Pictured are Mr Ben Bingley (Certificate IV in Sports Development) and Ms Brooke McNamara (Certificate III in Business) both of whom graduated and have continued working with us. Staff from Mater Christi College, St Paul’s, St John the Baptist, St Thomas More and St Joseph’s College gathered together in Ferntree Gully to celebrate mass and enjoy a late afternoon tea. My thanks are extended to Father Alan Fox, Cathy Mason and staff from St John the Baptist Parish for hosting this year’s Combined Schools’ Mass. 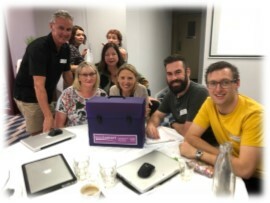 As we continue to explore the Catholic Identity of St Joseph’s College, two of my colleagues, Ms Janelle Spring and Mr Justin Barr, participated in the Salesian Immersion. We began with Mass at the Province Centre in Ascot Vale. Salesian College, Sunbury, hosted staff from several states to examine the life and times of Saint John Bosco. My sincere thanks and appreciation are extended to Mr James Whiting (Outdoor Education Coordinator), Mr Graeme Tucker (Valdocco Leader) and all staff associated with the recent Year 9 Expedition in the Alpine National Park. This key element of the College’s overall Outdoor Education Program was very well-received by students and staff. I had the opportunity to visit the event and was able to witness the depth and scope of this important activity. 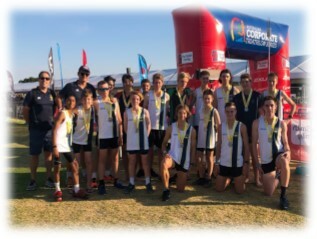 Success was achieved in the recent ACC Triathlon event held at Elwood. It was an amazing experience for so many boys who stretched their physical capabilities, going on to bring home several pennants and medals. I appreciate the dedicated work of Mr Paul Trubiani (Director of Sport), Mr Patrick van Dyk and all staff, students and parents involved in this exciting sport. 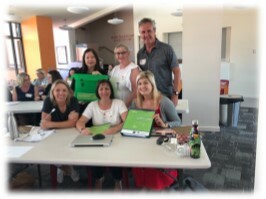 As part of our commitment to literacy and numeracy, we have assembled two teams of staff which are being trained in QuickSmart Literacy and QuickSmart Numeracy. Students will benefit from these initiatives. The two teams are pictured on the next page at recent training days. Key members of the teams include some of our Learning Tutors who play a vital role in the education of your sons. 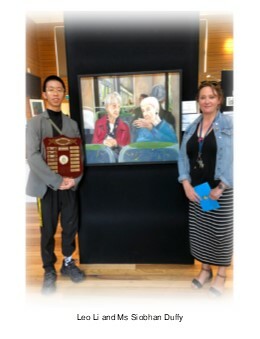 Congratulations to Leo Li (Class of 2018) who won The Serra Club Portraiture prize at the recent Visual Arts Exhibition as part of Catholic Education Week. We acknowledge Leo’s teacher, Ms Siobhan Duffy, and all staff who nurtured Leo throughout his journey at St Joseph’s College. 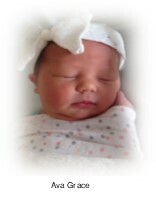 Congratulations to Ms Michelle Alabaster and her husband, Mark, on the birth of their first child, Ava Grace. All the best for the fortnight ahead.